The Southern California Library documents and makes accessible histories of struggles that challenge racism and other systems of oppression so we can all imagine and sustain possibilities for freedom. 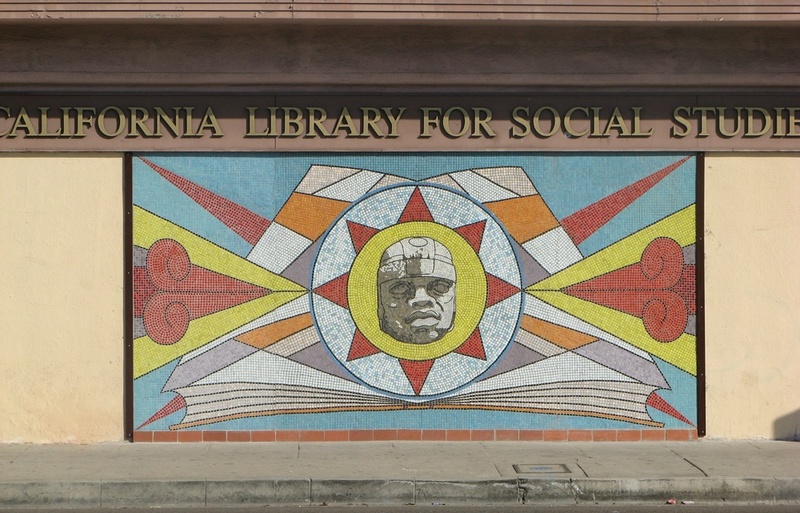 SCL is a community library and archive located in South Los Angeles. Founded over 50 years ago, the Library holds extensive collections of histories of community resistance in Los Angeles and beyond. Everyone is welcome to use the Library's resources to research and put to practice the histories of everyday people working to create change. SCL was founded by Emil Freed, the son of anarchists and brought up with the consciousness that the world needed to be changed. Emil attended Manual Arts High School, on Vermont Avenue just north of where the Library is currently located, graduating in 1917. He then attended the University of Southern California, graduating with a degree in Electrical Engineering. During the 1930s, Freed was an active member of the Communist Party and participated in the independent labor movement before the creation of the American Federation of Labor-Congress of Industrial Organizations (AFL-CIO). He was involved with the California Labor School in Los Angeles, which was formed by several unions, including the communications league, rubber workers, and seamen among other trades, and held meetings, dance classes, art exhibits, lectures, and readings. Freed began independently saving pamphlets and other political material, motivated by a desire to create a historical legacy of leftist thought and fear that this material would be lost. At the time, such publications were published in the hundreds of thousands, and sold for a penny a piece at local bookstores. In the late 1940s there were a number of strikes in Hollywood against management. While Emil did not work in Hollywood, he was selling CP newspapers across the street from a strike, and was arrested, spending a year in jail in 1949. Freed’s fear that material would be lost was heightened during the McCarthy era in the early 1950s. During the McCarthy era, a number of Emil's friends did not want to get caught with the leftist materials they had in their possession. People began to bury or burn materials they had long cherished. Emil took on the task of taking people's literature, and filled his own garage and at least four others to save what he understood as important history. Then in 1952, the California Labor School was shut down, and the contents of its small library were left vulnerable. Freed took on the task of finding a home for the books. He rented a space on La Brea Ave. and 9th St. for $50 a month, using money he had solicited from the board of the Communist Party. Over the next several years, Freed obtained equipment from defunct businesses and public libraries to house a growing collection of material. By 1970, the current space had reached capacity and Freed began seeking a new home. Freed located a former household and appliance store that had no windows and a leaky roof in South Central. Freed borrowed money to purchase the building and moved his growing collection into what remains the Library’s current location. With a new space, volunteers loaded boxes of books to bring to the Library, and eventually organized what has endured for 50 years as the Southern California Library. Library founder Emil Freed (front) on a picket line. Professional affiliations of board members are listed for identification purposes only.